Each family in the United States of America visits a miniature golf course at least once a year. Most of the people do not realize however that there is completely different universe of Minigolf. 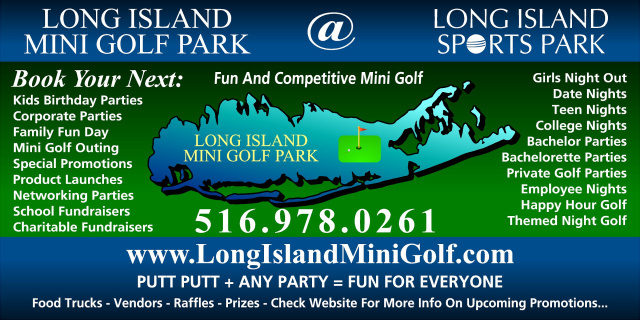 Minigolf as a sport in the United States is mostly viewed as a leisure activity with only a few existing organizations, which hold their tournaments on a regular basis. MiniGolf in Europe is a very popular sport with the history of European Championships dating back to the 1930’s. MiniGolf has its own World MiniGolf Sports Federation (WMSF) with active members from thirty nations, and with added nations planning to join this organization. The WMSF (www.minigolfsport.com) promotes MiniGolf as a sport and organizes World and Europe Minigolf Championships. Since October 28, 2000 the WMSF has become a Provisional member in the General Association of the International Sports Federation (GAISF) which is a big step towards becoming an Olympic Sport. In Europe there are sport clubs devoted solely to minigolf. The minigolf clubs organize local tournaments where their best players are delegated to regional and national level competitions. Nation’s top players in turn compete in the World of Europe Championships. Serious countries like Germany and Sweden have coaches for their players. Serious attention is paid to the young players to help them to become the best in the world. Senior players are not forgotten either. They have their own Senior World and European Championships. The courses used for World and European Championships are standardized and include Eternite, Felt, and Betong Courses. Tournaments are always played on two or three different courses. Usual combinations are Eternite and Felt or Eternite and Betong. All three courses have geometrically oriented obstacles and length, thus creating different levels of difficulty. In my opinion, the most difficult is the Felt; next in difficulty are the Betong courses. Please do not get me wrong, all three courses require many hours of practice to have winning scores. The average winning score are 18-19 points per round for Eternite courses, 26-28 points per round for Betong courses, and 27-30 points per round for Felt courses. To improve their scores, players have special minigolf balls, special minigolf putters, and course maps. The balls differ in their diameter (from 3.75 cm to 4.50 cm), their weight (from 28 grams to 70 grams), their bounce (from 0 cm to 85 cm in height), their hardness, the ball’s outer texture, the ball’s running qualities, and the temperature stability. There are several thousand different balls available. A different ball can be used on each hole. The choice of the ball on each hole can change with altering weather conditions. On a windy day the player will use a heavier ball; hot weather will require balls which will not change their playing characteristics in higher temperatures. Often players have to warm up their minigolf balls or keep them in a temperature -controlled bag. The readers can find ball manuals in German, with the description of each ball and it’s use. Readers who like myself, do not know German, can log onto (http://www.3d-minigolf.at/) and find fascinating information about the balls (including temperature charts), the putter and course maps. The minigolf putter has rubber on the contact surface of the putter’s head to speed up the ball and to smooth out the ball’s run after contact with putter. Three different kinds of the rubbers are available for putter speed: regular, medium, and fast speed. The players have to find which type is the most suitable for them. All this information makes minigolf sound like science. Yes, it is vary interesting science with endless possibilities for active players. The minigolf courses in the United States are different from those played in Europe. I have played on adventure courses and microgolf courses. The Microgolf courses produces by Cost of Wisconsin Inc. (www.costofwisconsin.com) have caught the serious attention of the World MiniGolf Sports Federation and are in the process of being approved by WMSF as a fourth type of sanctioned course. The adventure and Microgolf courses are oriented to changes in the surface contours, mimicking regulations golf greens. Obstacles look like tree-stumps, rocks, and sand traps that give the feeling of being connected to nature. The adventure in Microgolf courses are usually played with the regular golf putters or special minigolf putters. The average winning scores on these courses are 29-30 points per round. The United States ProMinigolf Association (USPMGA) is the association which organizes tournaments on a regular basis throughout the United States of America, but it is the only organization in the United States which is an official member of the WMSF. Thus the best players to represent our country in the World Championships come from the USPMGA Tour. USPMGA has its own team USA Training Center located in North Myrtle Beach, South Carolina. In the near future Cost of Wisconsin Inc. (Microgolf Producer) is planning to open at least one more USPMGA sanction Training Center in the state of Wisconsin. 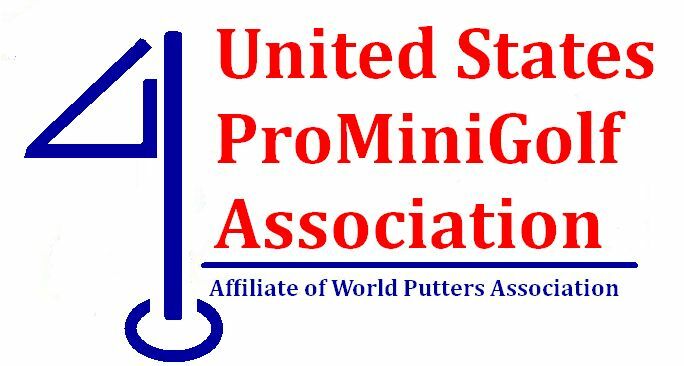 USPMGA also offers minigolf course owners with advise on how to organize tournaments. Course owners can join the association to have their best players play in the USPMGA Tour Events along with the best USA and World Minigolf players. Players can also join the USPMGA to become candidates for Team USA. Other opportunities include tournament advertisement on the USPMGA website (www.prominigolf.com), a mailing list of the USPMGA Tour players allowing newly organized tournaments to invite USPMGA nationally ranked players. This will enrich your new tournament with the expertise from the long-term players. Each minigolf course has its own specifics and experienced players that ask questions about the different game situations occurring during the practice period which in turn helps the tournament director make proper decision in rulings before the tournament. The personnel contacts between the veteran players and the beginners teach new players proper playing and practice techniques and offer them new information about international tournaments. 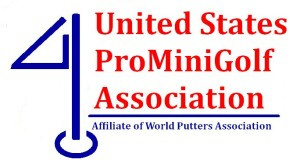 Course owners also can receive great discounts from minigolf supplies by joining USPMGA.